Well I never use microwave ovens, of all varieties. They are rubbish, unhealthy and useless for all breadmaking, in my opinion. Sorry to be so frank but I would never dream of trying to cook Naan in a microwave oven. 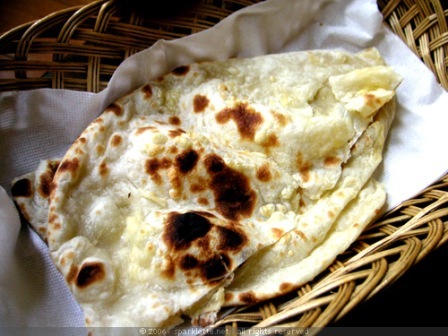 If you can find a regular oven, here is my recipe for Naan without a tandoor. Remove the breads from the oven, cover them with a clean tea towel and repeat the procedure for the remaining breads. Serve the naan hot or warm.